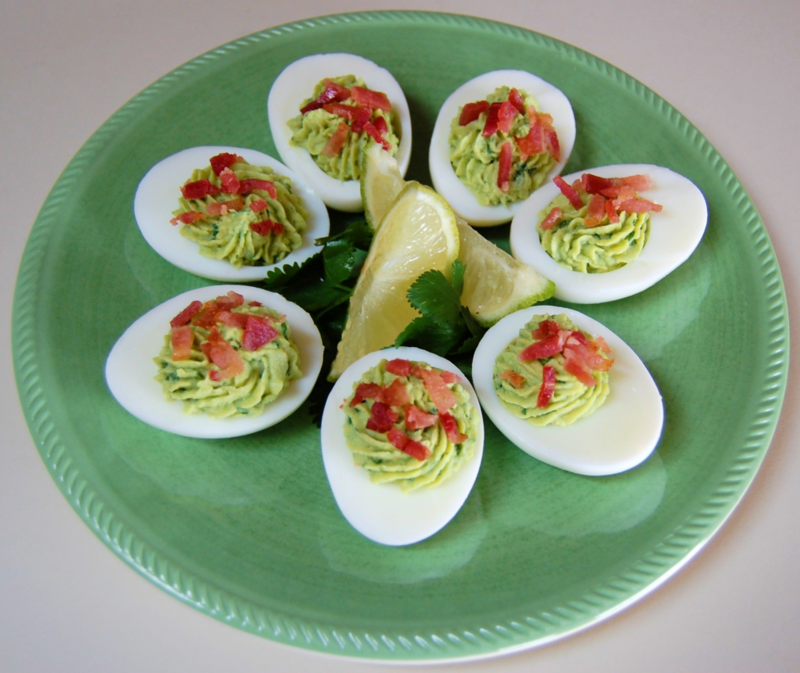 A twist on Green Eggs and Ham! 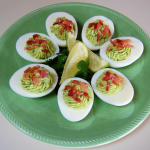 Hard boiled eggs filled with homemade guacamole and crumbled bacon! Remove egg yolks from the halved eggs and place in a small bowl. Add the ripe avocado, lime juice, salt, onion powder, garlic and cilantro. Use a fork to mash the guacamole mixture until smooth. Spoon or pipe the mixture into the halved eggs. Sprinkle with a dash of smoked paprika or garnish with crumbled bacon. Store in an airtight container in the refrigerator for up to 2 days.